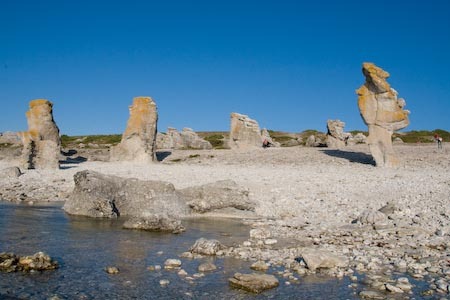 Here are some photos from Gotland, or more exact, Fårö, the most northern part. In many regards it’s an exotic place, with endless sand beaches and amazing rocky shores. And lots of sheep. 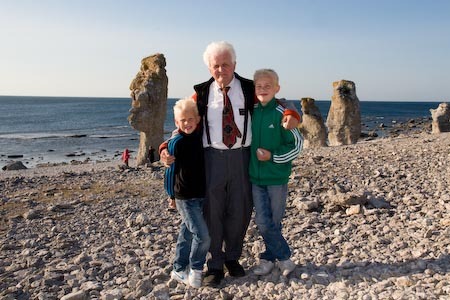 Fårö literally means Sheep island (but oddly enough, we didn’t see that many sheep that day). When we got there it was late in the day and very windy. Understandably, not a soul was on the beach. But our boys just had to swim anyway. Brave kids. It was sooo cold! 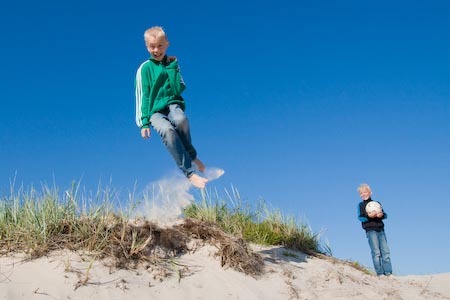 Johannes jumping from a sand dune. My dad, Willy, jumping from the same. Did I mention he is turning 80 in May. 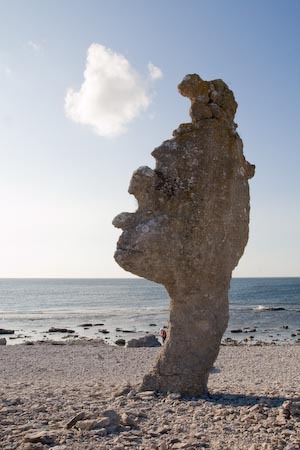 This is at Langhammars where some of Gotlands most famous raukar (english?) stand erected. My mother took this photo of me. It’s looks like I am getting ready to shoot someone with my camera. Well… I guess I am… kind of! This is me when I will turn into an old fossil. Don’t you just love this rock! 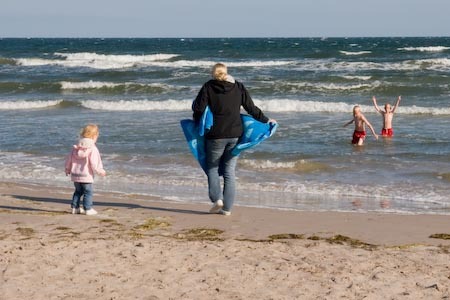 Så herlige bilder og ja, kan ikke være mere enig, nå trenger vi ferie fra ferien!!! Ungene begynte på skolen idag og jeg bare nyter!!! Så herlig å se Willy så sprek. Skulle jo så gjerne sett Gerd igjen også! !hint-hint….hehe så de er feridg med misjonen nå da? Hilse så masse fra oss!! The last picture is centainly the best!!!! The only thing you miss is….a flag! Your dad is still so good…boy, every time I see him, I’m surprised…My grandparents are both 77…and I don’t see them do the jump Willy did…. 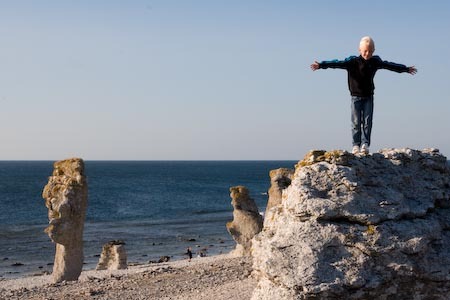 You have some very nice photos there of your outing to the Gotland/Fårö. In the first photo, it does look as though it may be quite windy, and also rather cold. Good to see your father still enjoys good physical health for his age. 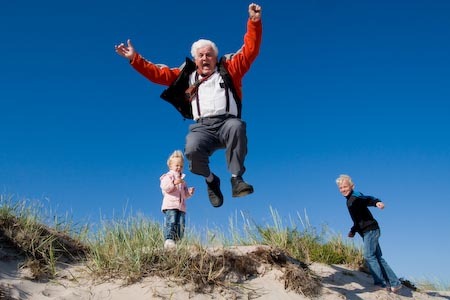 Both my parents have turned 80 years old this year – my father back in May, and my mother just a few days ago – and fortunately they also both still enjoy good physical health. There are certainly some very interesting shapes amongst those rocky outcrops. 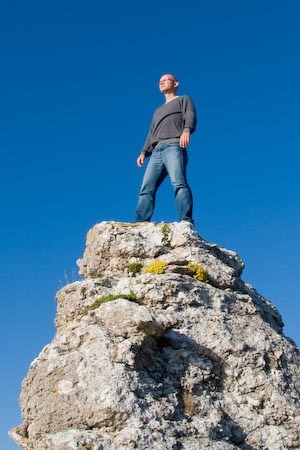 I do like the last photo showing you on top of the rock – I think your pose looks quite majestic – as though you have “conquered the mountain”, and are king of all that you survey! 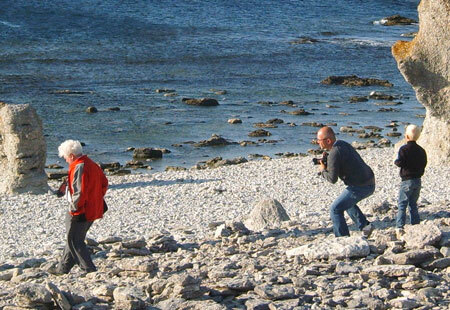 Skönne billeder, herligt at se din far er så frisk. 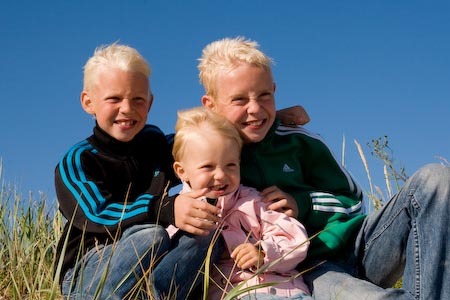 Jättefin familie du har :O) Fortsat trevlig sommar!